If you or a loved one has been attacked by a canine, contact an experienced dog bite lawyer right away. You may need significant medical treatment and be unable to work or go to school. You may be unsure of what to do next. We can help. Call Russell & Lazarus APC today to find out how we can help you. Dog attacks can be terrifying, especially when the victim is a young, unsuspecting child. When a dog bite injury results in permanent scarring and an abundance of medical bills, it can be even worse. Anyone suffering an injury from a dog bite must take certain measures. However, following those steps can be difficult, particularly at a time when all you want to do is focus on getting better, or helping your injured child recover. That is where a Orange County dog bite lawyer at Russell & Lazarus come in. Our attorneys have offered help to dog bite victims for more than two decades. We dedicate ourselves to providing personalized service to all of our clients, both young and old. Documenting the Injury. It is important for dog bite victims to document the injury and the circumstances surrounding the incident. Your Orange County dog bite injury attorney can help set up professional photographs of your injury and can even document the events leading up to the bite. Helping You Get Medical Treatment. We have experience in helping dog bite victims get better and so we know the area’s best plastic surgeons and doctors. To further assist you, we can even schedule your appointment for you. Investigating Your Claim. Not every dog bite case is open and shut. An Orange County dog bite injury lawyer can help you evaluate the strength of your claim and also help determine the other party’s ability to pay damages. Negotiate With Insurance Companies. Insurance companies are notoriously tight-fisted when it comes to paying out legitimate claims. An Orange County dog bite injury lawyer can deal with correspondences with insurance companies, submit proof of your expenses, and otherwise help negotiate the best settlement for you. Correspond With Attorneys and Hostile Parties. You will be able to relax and focus on getting better without the stress of communicating with opposition. Your attorney can deal with these unpleasant communications and help your case move along. These are just some ways that an experienced Orange County dog bite injury lawyer can help. To learn about ways that an attorney can assist you in your specific situation, contact us. The person was in a public place or private place lawfully. Thus, if a dog bites another person and that other person was in a public location or on private property legally, then the owner can be held responsible for the injuries that occur. A dog does not actually have to break skin with its teeth for the owners to be held responsible. If a dog grabs the clothing of a person and causes that person to fall, then the owner may be held responsible for injuries. There are exceptions to strict liability. If a person was trespassing or on private property illegally, then the owner may not be responsible for injuries caused by their dog. Similarly, if the animal was a police or military dog doing professional work, then the owner cannot be held liable. In some circumstances, if a person was annoying or provoking a dog, the owner may not be held legally liable for injuries that result. California’s strict liability statute only applies to bites and the results of bites. However, if a dog causes some other damage or injuries, an owner may still be held responsible for failing to act or acting negligently. For example, if a dog chases someone on a bike and hits the bicycle, causing a wreck that results in injuries, then the owner may be held responsible for failing to control their dog. Although this does not fall under California’s strict liability law, the owner may still be liable if they failed to act in a way that a reasonable person would have in a similar situation. Dog owner negligence can be difficult to prove. You should work with a dog bite lawyer to gather evidence that will show you deserve compensation from the negligent party. If an owner knows or should have known that their dog is “vicious,” or has attacked someone previously, or is potentially dangerous, then they may be held to a higher standard. Owners who know their animals have a history of vicious or dangerous behavior must take reasonable steps to remove danger of future attacks. Killed or injured other domestic animals at least twice in the last three years. Had already been determined to be dangerous and the owner did not meet legal requirements to prevent an attack. If a California resident knows or should know that their animal is potentially dangerous and fails to take appropriate steps, then they may also receive criminal charges under California Penal Code Sec. 399. This law states that if an owner knows their dog to be prone to mischievcious behavior, but failed to keep the dog under control and the dog harms or kills a person while roaming, then the owner may be liable. This crime is a “wobbler,” and the court may charge it as either a misdemeanor or felony. If the victim suffered a fatal injury, it’s likely that the court will charge the owner with a felony. 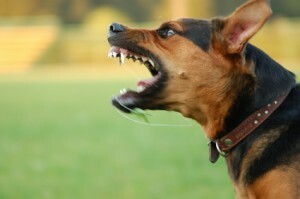 A dog bite lawyer can help you determine if the dog that bit you or your loved one was considered dangerous or vicious, or if the owner should have known of its potential to bite. An independent investigation should take place quickly so that evidence does not disappear and memories of witnesses do not fade. If you or someone you know is the victim of a dog bite, it is important that you contact an experienced dog bite lawyer and not fight your case alone. Recovering for personal injuries is very complex. Focus on recovering from your injuries and let us work on the legal process to collect damages. 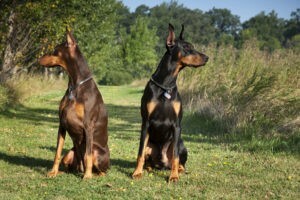 Contact an Orange County dog bite lawyer at Russell & Lazarus APC today.